Your property is as important to us as it is to you! Personal property refers to the contents of the home or business. But Hays + Sons understands that it is much more than just that. We know the value of your items is relative to your attachment them. We do our best to salvage everything, and you may be surprised by the magic that we can do. The Ultrasonic Cleaning Station is filled with the most innovative machines that provide thorough cleansing. The Omega Ultrasonic Cleaning Machine works with non-toxic ultrasonic cleaning bubbles that destroy the most microscopic grime. We use a solution that is specifically designed for our equipment to clean soot from damaged property. We use the solution in the Rinse Tank, where the solution pulls debris from the surface. 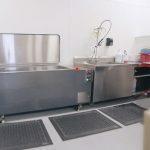 Items then move onto the Cleaning Tank where items are submerged in heavier diluted solution and allow us to clean crevices that human hands cannot scrub. 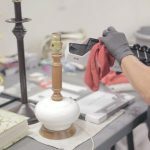 During the final step, items are sent through a dryer chamber and the items are inspected to ensure they are cleaned thoroughly before repackaging. The Hand Cleaning Station is where pieces that are far too delicate for a deep cleansing process. This station is for your photos, antiques, and other unique collectibles. These treasured items earn our value attention and care. 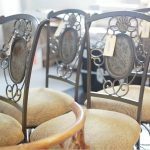 The focused attention is how we restore these items so you can continue to cherish the memories associated with the items. At Hays + Sons, we have decades of experience in repairing all types of furniture, including antiques and modern furniture. Our technicians in the Furniture Cleaning Station use the appropriate solutions and detergents to refinish and repair your favorite pieces of furniture successfully. This is the station where our team works on the unique fabrics and upholstery. The furniture made of unique materials begins the unique cleaning process in the Upholstery Cleaning Station with a hot water extraction to clean off the soot. Items damaged by water are dry-cleaned and deodorized. 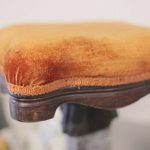 Even though most companies do not handle upholstery, at Hays + Sons we believe this a major component of the restoration process. There is no sense in replacing your expensive electronics when they can be restored and become fully functional again. 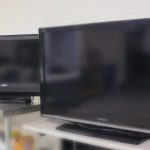 In the Electronic Cleaning Station, we can restore electronics by removing the key components of the damaged technology and air-drying those pieces to where they are working again. Unfortunately, strong odors are a result of a disaster. 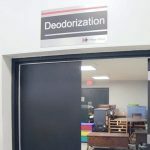 However, in our Deodorization Room items undergo an ozone treatment. Once the door of the room is closed and sealed shut, a generator breaks down oxygen that sanitizes the surfaces of all treated items and eliminates bacteria, mold, and nasty odors.